An air purifier protects your indoor environment and your health from harmful airborne contaminants. Unfortunately, this device’s wingspan isn’t broad enough to protect your HVAC unit, too. However, harmful pollutants and particles are constantly pecking away at your heating and cooling systems’ wellbeing. Because of this, the ride is too bumpy for your unit to fly solo. Thankfully, it doesn’t have to. With an air filter from Swanton Energy Services, you can keep contaminants off of your systems’ radar. With this device as co-pilot, it’s a smoother flight for your unit and your budget. The most common reason heating and air conditioning systems take a nosedive is because dust, dirt and other contaminants find their way into your system. While perched here, these intruders cause severe blockages and extensive damage to your unit’s proficiency. This forces your unit to work harder and use more energy to, once again, meet your comfort demands. But it gets worse. The extra stress your unit endures leads to the need for extra repairs, service, parts or worse—a complete system replacement. Thankfully, by installing an air filter, you can keep these issues grounded while your unit steers you toward total comfort. So, if you’re looking to protect your system and save yourself some serious cash, then trust our professionals as your wingmen. We’ll install your air filter properly on the first swoop. Air filters do more than protect your HVAC unit. They improve your indoor air quality, too. You see, installed in your HVAC system, this IAQ device filters large particles out of heated or cooled air as it passes through your unit before they can enter your home. Keep in mind if someone in your nest suffers from allergies or asthma, then attaining cleaner, fresher air is a “nest”cessity. That’s because these respiratory ailments are heightened by poor IAQ. So, by installing an air filter, you’re doing more than removing allergens, pet dander and pollen. You’re forcing allergy suffering to take flight, too. Protecting your HVAC unit from harmful contaminants isn’t something you can wing. It requires a proper installation of an efficient air filter in your system. No one offers more dependable systems and indoor air quality solutions than Swanton. For fresher, cleaner air and a more dependable unit, fill out our online form or call us at 732-335-6731 today! 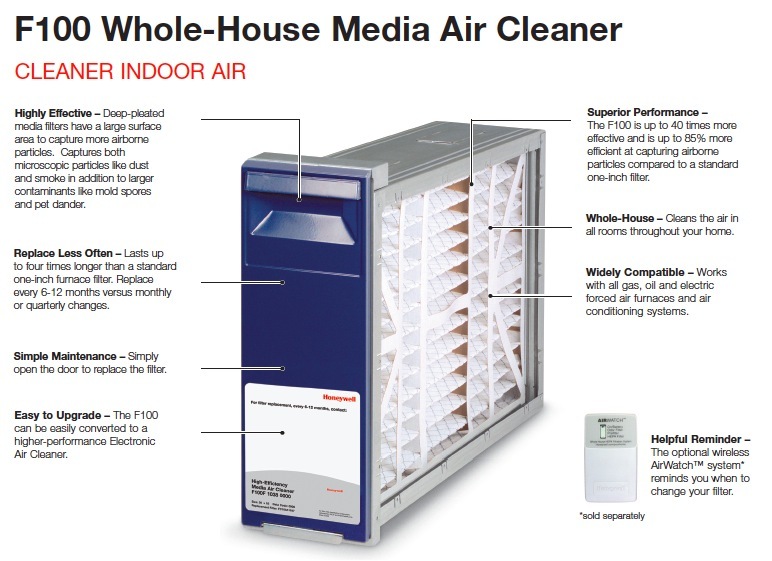 Media filters eliminate dust and other larger contaminants in your home’s air by trapping these particles as they’re pushed through the filter. 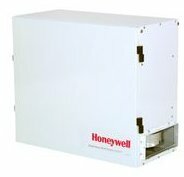 If you’re looking for a superior air cleaner, your search commences with a whole-house media air cleaner from Honeywell. This device is up to 85 percent more efficient at capturing microscopic particles like dust and smoke, as well as larger contaminants such as mold spores and pet dander compared to a standard one-inch filter. This leads to higher airflow in your heating and cooling system and ensures it functions at full efficiency. HEPA filters, or high efficiency particulate air filters, are designed to stop particles that other filters can’t. In fact, it’s proven that these filters can remove up to 99.7 percent of particles 0.3 micrometers and larger, making it clear that nothing slips past HEPA air filters. Ninety-nine percent of particles in your home’s air are invisible to the naked eye. However, you can count on Honeywell’s whole-house HEPA air cleaner to stop these particles from recirculating into your home. Using a powerful, three-stage filtration, this device captures 99.9 percent of pollutants, including pet dander, certain bacteria and pollen to deliver clean indoor air like you’ve never experienced before. Do you want to say your final goodbye to breathing in harmful bacteria or allergens? If so, then you need an electronic air filter. This device works by placing an electronic charge on airborne particles and then collects these charged pollutants like a magnet. With this highly efficient filtration method, electronic air filters are able to collect up to 99 percent of airborne particles and trap smaller particles that other filters let slide through. 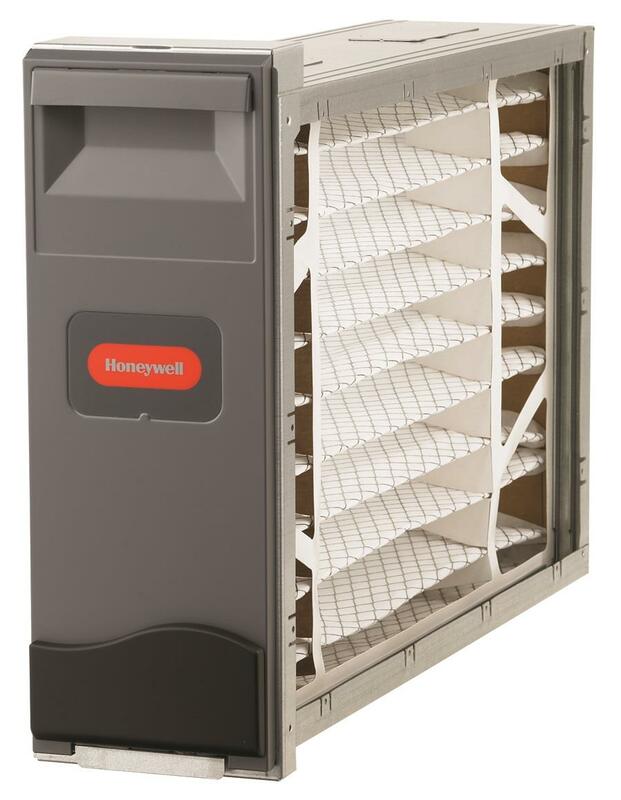 The Honeywell electronic air cleaner is an affordable and easy-to-use, whole-house solution that effectively traps and filters pollutants from your home’s air as they pass through your heating and cooling system. But this doesn’t just include larger particles such as mold spores and pet dander. Rather, using innovative technology, this advanced air cleaner is capable of capturing microscopic impurities like dust, smoke and smog particles, too. Plus, there’s no replacement filters needed. Instead, all you have to do is remove the filter and wash it every six to 12 months. Achieving cleaner air has never been easier.